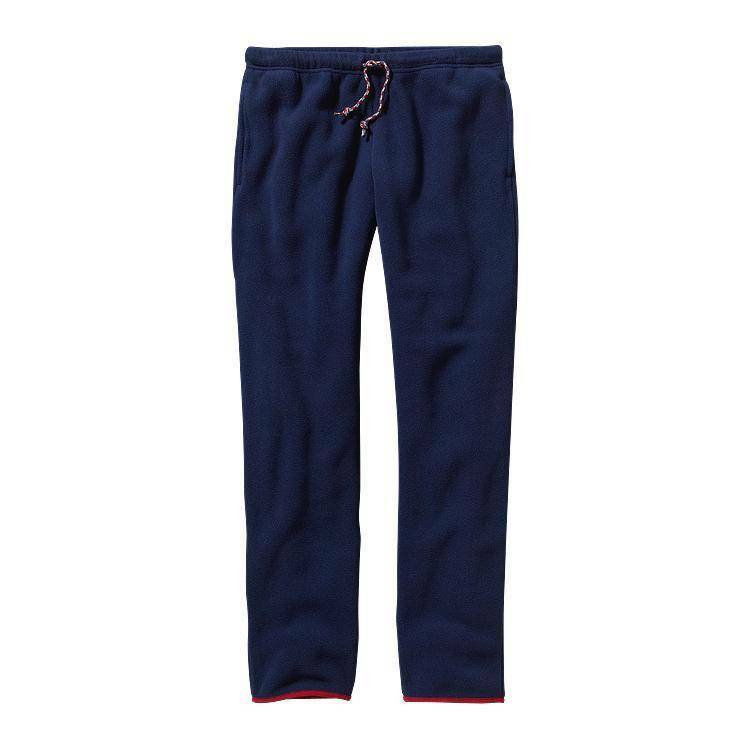 The essential polyester fleece pant with a Snap-T® style back pocket, an elasticized waistband with a drawcord, and spandex binding at the cuffs for warmth. Invented for those who can’t migrate south to escape winter, Snap-T® Pants are soft, warm and livable. You might not take them off for a while, but you won’t be cold either. Made from plush yet durable 100% polyester fleece that feels smooth against the skin, dries quickly and wicks moisture. With an elasticized waistband, exterior drawstring and spandex binding at the cuffs, they perform equally well when worn alone or under a shell. On-seam handwarmer pockets and a classic rear Snap-T® pocket hold life’s little necessities. Inseam (size M) is 32".